Former HipHopDX Editor-in-Chief Andreas Hale capped off his September 11, 2007 review of Kanye West’s third album Graduation by writing, “Kanye has created another must-have album that will continuously bump on your CD players and MP3s for months to come.” Fast forward 10 years and only one thing about that statement has changed – nobody listens to CDs anymore. 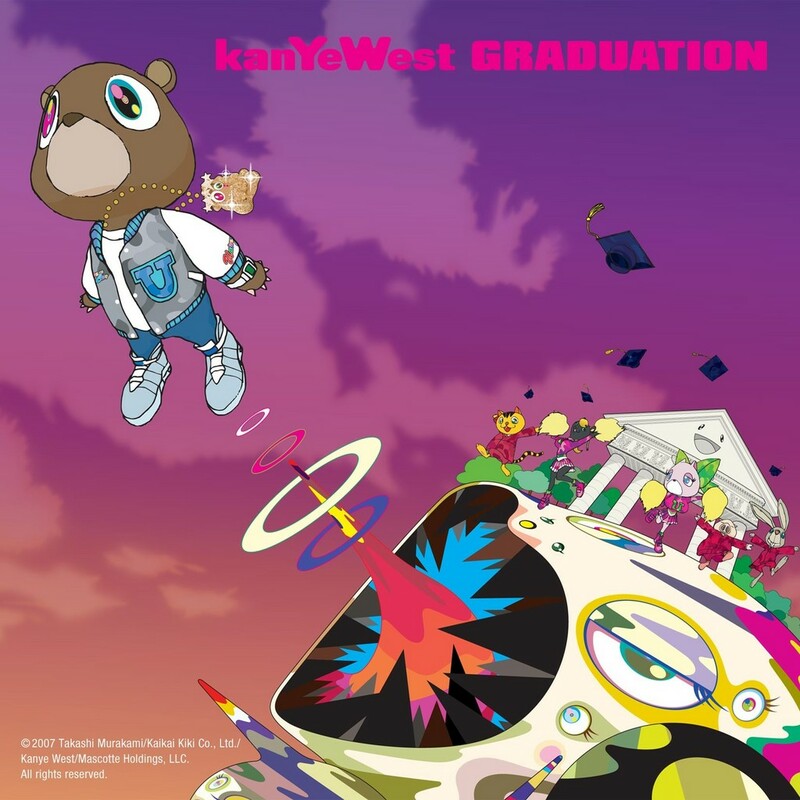 Graduation, however, is still a must have album that continues to bump not only month after month, not only year after year but technically decade after decade. Nowadays we have the tendency to deem new albums as “classics” within ten minutes of hearing it which has raised some quandaries about which bodies of work actually deserve that infamous c-word. That said, giving an album ten years feels like an appropriate amount of time to make a conclusive call on whether or not the album stands the test of time. Sonically, Graduation was way leaps and bounds more advanced than his first two monumental releases in The College Dropout and Late Registration. Kanye (with assistance from the likes of Plain Pat, DJ Toomp, Mike Dean and more) traded in his pitched up soul samples and live orchestras for heavy synths and electro-based rap beats. This is what the album usually gets criticized for most, seeing as it isn’t the blissful boom bap “old Kanye” that people hold so dear but in many ways. 4.9?!? : Will all the “Drunk & Hot Girls” fans please stand up and create a fratnerity. Rattling synths crossed with chilling strings and keys set a new standard for what could and couldn’t be rapped on as Hip Hop quickly moved into the early aughts. Plus, for those looking for some quick and dirty boom baps, “Barry Bonds” perfectly filled that void with an arrogant Kanye and mixtape Weezy unloading clips worth of bars. It truly is the one Kanye album that has it all. Men lie, women lie, Kanye fans lie but numbers don’t. Just to add a cherry on top of the musical dominance that was Graduation, Kanye put some serious numbers on the board as well. Going head to head with 50 “No One Can Outsell Me” Cent seemed like a suicide mission seeing as his third album Curtis also dropped on September 11th, 2007. Perhaps the two most arrogant men in rap music at the time were under no circumstances changing their respective release dates and so a friendly completion arose with 50 declaring he would never drop another solo album if Graduation outsold Curtis. 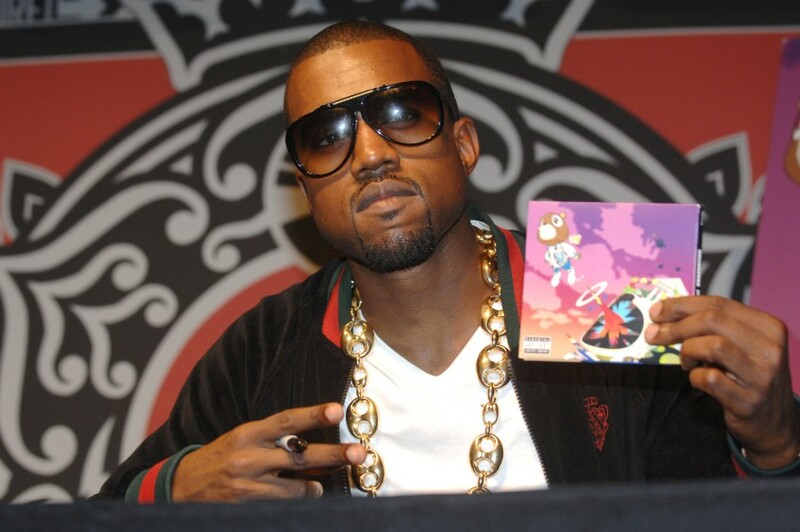 But gangster rap was nearing its slow demise from the top of popularity and Kanye outsold the hustler from Queens by a whopping 266,000 copies in the first week. 50 obviously went on to release more albums but he never truly regained any momentum and one could argue that this tangible loss was the beginning of his end; or at least, the end of gangster rap’s commercial dominance. No Losers: Kanye’s Graduation raked in 957,000 copies in its first week (437,000 in the first day) and 50 Cent’s Curtis sold 691,000 in the first week. Graduation perfectly completed the holy trinity of school-themed albums for Kanye and serves now as both a starting point and ending point in his illustrious career. It was the end of a Kanye with limits and genre restrictions but the beginning of a larger than life rap-rockstar Kanye that only cared about people throwing their hands up in the sky.